Nthiga, E.W. 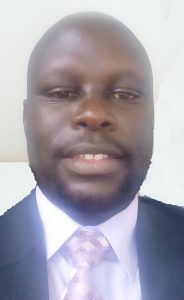 Wanjau, R. and Murungi, I.J. (2015). Levels of chromium peels, seeds, red flesh and seeds in varieties of watermelons grown in Kenya. Journal of Kenya chemical society, 8(1):77-87. Nthiga, E.W. Wanjau, R. and Murungi, I.J. (2013). Analysis of levels of Boron in three varieties of of watermelons from githurai and mwea markets in Kenya. International Journal of Physical and Social Sciences, 3(1):263-278. ISSN: 2249-5894. Nthiga, E.W. Wanjau, R. and Murungi, I.J. (2013). Essential elements in watermelons grown in Kenya. Lap Lambert Academic Publishers. Deuydhland/Germany. ISBN: 978-3-8443-3040-3. Efficacy and kinetics of adsorption of single and multiple heavy metal cations from aqueous solutions by fruit waste products.